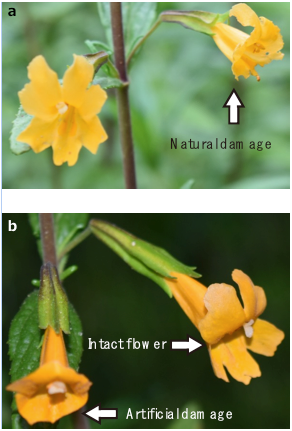 Floral attributes evolve in response to frequent and efficient pollinators, which are potentially important drivers of floral diversification and reproductive isolation. In this context, in a new study published in AoB PLANTS, Queiroz et al. investigated pollination in two co-flowering Ipomoea taxa (I. marcellia and I. aff. 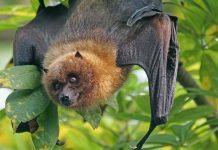 marcellia) that share the same pollinators (bats and hummingbirds) and show similarities in floral traits, favouring the mixture of pollen and the loss of plant genetic material. 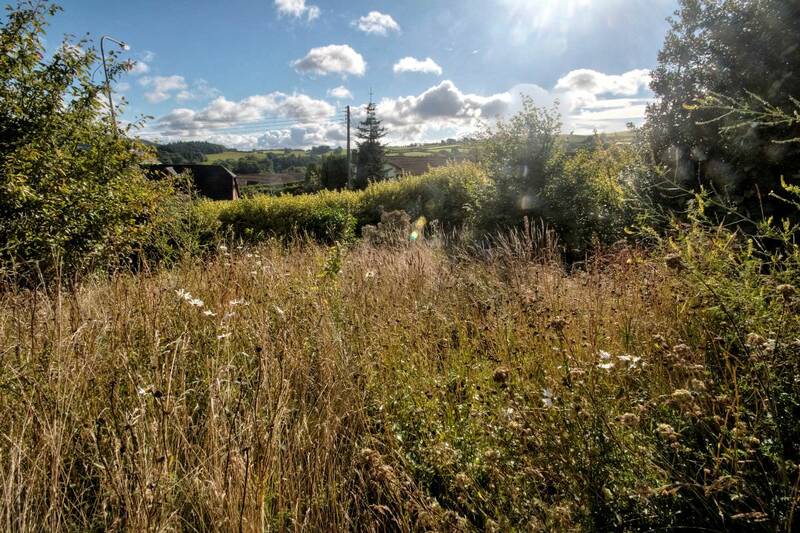 They found that floral length differences between the plants enabled pollen deposition on different parts of the body of pollinators, reducing the mixture of pollen. 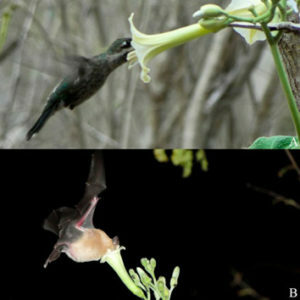 In addition, differences in the opening times of the flowers could explain the more effective pollination by bats in one of the plants and by hummingbirds in the other. 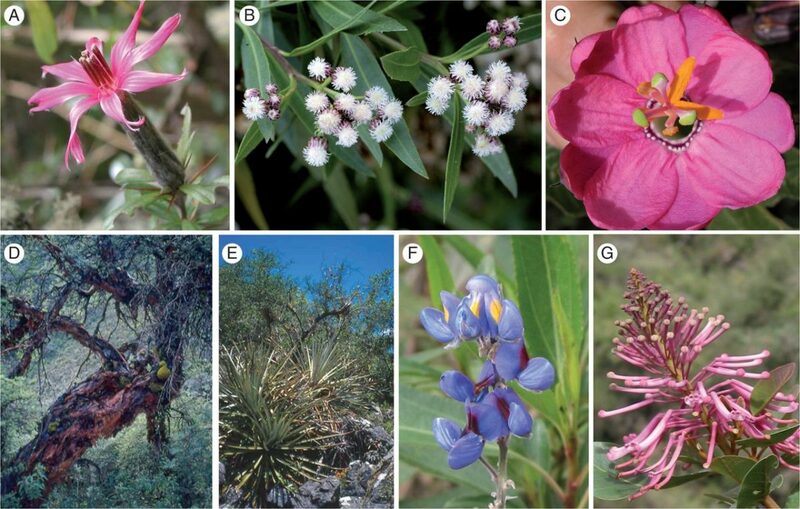 This trend towards pollinator specialization may favour the coexistence of these plants.